This picture was taken on 27th of October at our Knatter nite .. I meant to get this photo and a blog post up titled “Knitless since Tuesday”, but it just didn’t happen .. spending the next 2 days after this as a lump on the couch sick is reason enough .. 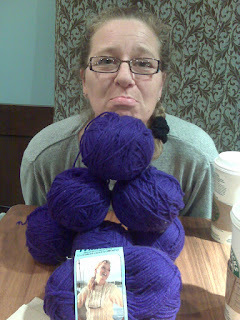 I just didn’t have the energy or inclination to hunt down a sweater that I wanted to do. You knew there was a but .. heh .. I found one 😀 …. « Hoodie Or Not Update ….